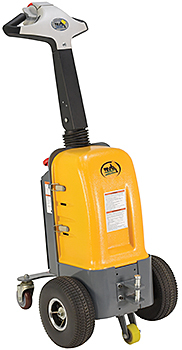 HOF Equipment Company offers an assortment of electric tuggers to meet your application requirements. 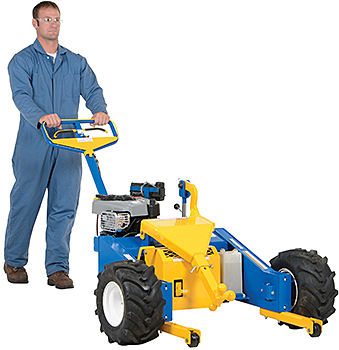 Tuggers are most often used to pull carts or trailers from place to place. 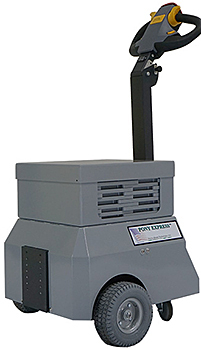 They are an ideal way to transport materials, goods, and machinery without having to manually push, pull or carry them. HOF carries Electro Kinetic Technologies Pony Express Tuggers, Vestil Tuggers, and Big Joe Tuggers that range in tow capacity from 1,000 LBS to 70,000 LBS. 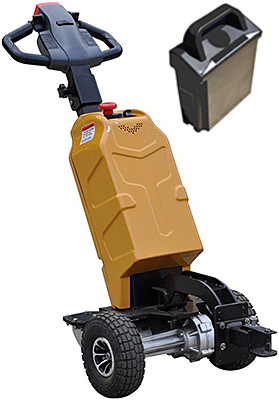 12v batteries and 110V built-in chargers come standard and keep the tugger ready to get the job done. 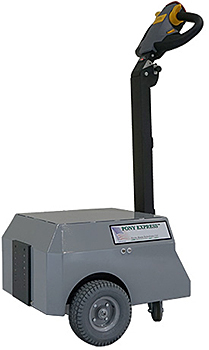 Various hitch types are available for hooking up to a variety of carts. 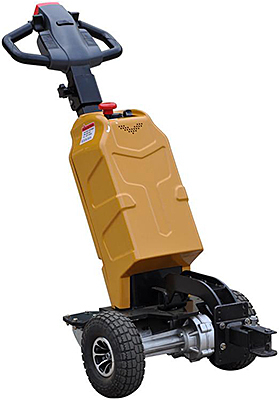 A gasoline powered tugger with all terrain tires is available for outdoor applications. HOF Equipment Company has representatives standing by to answer questions and help you select the right electric tugger for your needs. 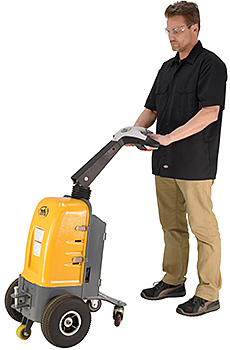 HOF carries a full range of material handling equipment. Take a look at our website or give us a call today!